It’s been heard that dolphins can help children with emotional disorders. Well, the same thing goes for aquariums! It has been seen that having a fish tank can help children diagnosed with attention deficit/hyperactivity disorder, ADHD. 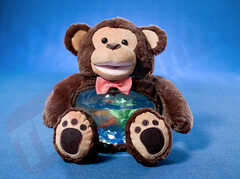 The Teddy Tank is the perfect solution for calming emotions and being a companion for your child. 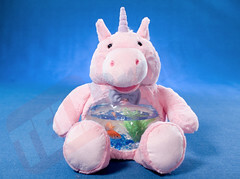 It will give the health benefits of having a fish and the serenity it brings, while also being a stuffed-animal friend to provide your child with a comforting and supporting sidekick! And so, you’ll feel the benefits of having a fish tank too when you see your child so happy! Try out the amazing Teddy Tanks today. Order now. Will You Be The Next Entrepreneur? At Montclair State University in New Jersey, MSU held it’s First Annual Telebrands Inventors Day for Aspiring Entrepreneurs. CEO of Telebrands, AJ Khubani, is a Montclair alumnus and so this very special inventors day was created by him, a successful entrepreneur. He was one of 3 of the judges on the panel who listened to 4 teams pitch their business idea that has been developed in their last two semesters. The competition was fierce, and ultimately, there was only one team winner who took home the $10,000 kick-start money prize! The experience was unlike any other, thanks to Khubani sharing his advise and expertise on entrepreneurship. Check out some news segments that feature this #MSUPitch Inventors Day and all it had to offer! Will you be the next inventor for Telebrands? Do you have a solution to an everyday problem? Do you have the next As Seen On TV product? Then submit your idea here, and have a chance to be Telebrand’s next inventor. 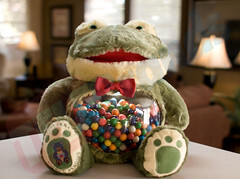 This is the official blog for the fun, one-of-its-kind Teddy Tanks! 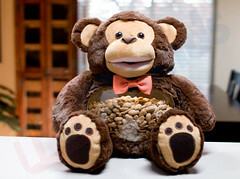 This As Seen On TV product is the perfect kids gift for any special occasion. Keep coming back to this site for reviews, news, tips and more on Teddy Tanks.